Jackson Wang is definitely a triple threat. He is a rapper, singer and dancer, best known as a member of the popular K-Pop group, GOT7. He has notably appeared on the Korean reality television show Roommate. Here’s more information about the music star who has a surprising number of hidden and impressive facets. Jackson was he was born in Hong Kong, on the 28th of March, 1994. For his secondary education, he attended the American International School Hong Kong, a private international school. Jackson Wang comes from a family of athletes which could explain the natural athleticism he often displays. Jackson Wang has an estimated total net worth estimated at $1.5 million, which is pretty impressive for a man who never intended to go into show business. His parents had intended for him to follow in their footsteps into sports – he was trained in fencing, taking after his father, and also later participated in important National competitions for youths. However, he later shifted his attention to music and entertainment, a decision that paid off as he is now a prominent dancer, singer and rapper. In July 2011, Jackson Wang moved to Seoul to begin his K-pop training, which went swimmingly well. After over two years of training, he debuted as a member of the newly formed group, GOT7. The band launched their career with the single “Girls Girls Girls”. Apart from performing with GOT7, Jackson became active as an actor on both Korean and Chinese dramas. He also moonlights as an MC on several television shows. When he was first introduced to the spotlight, he went by the stage name J-Flawless; and though he no longer uses the name, some of his fans still address him by it. Besides music, Jackson has appeared on several television shows including SNL Korea, Happy Together, Roommate, Hitmaker, and Star King. At the 2014 SBS Entertainment Awards, due to his rising popularity, Jackson Wang received the Newcomer Award. Embarking on a solo career on the side, Jackson decided to adopt a sound different from the hip-hop GOT7 is known for. Since he was always a fan of classical music, he chose classical music for his solo effort. Though Jackson Wang is constantly in the limelight, not much is known about his older brother. All that is known is that Jackson’s brother lives in Australia and has a daughter named Aimee, Jackson’s niece. The musician also has an adopted younger sister who lost her parents and was taken in by the singer’s family. Jackson’s father, Wang Ruiju, was a prominent fencer and a gold medalist at the Asian Games during his time. He also competed in the summer Olympics of 1984 and 1988. His mother, Sophia Chow, on the other hand, is a retired gymnast and was also a gold medalist at the World Gymnastics Championship and at the Olympics. His maternal grandfather, Zhou Youg Chang, who died in 2017, was the pioneer of Ultra Sound Diagnostic Medicine of Mainland China. 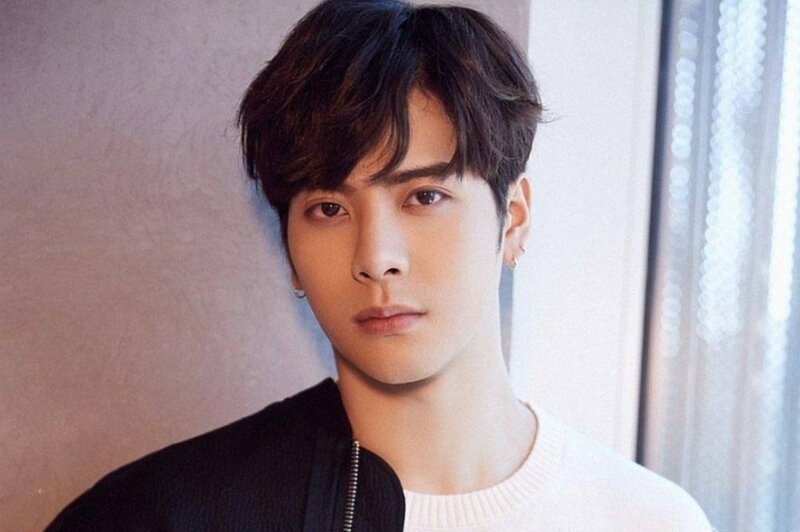 Jackson Wang is not married yet and also does not have a girlfriend presently. The musician broke up with his previous girlfriend just before he signed his contract with JYP Entertainment, stating that he wanted to be financially stable before dating anybody. Though he is now successful, he has still chosen to remain single. 1. His favourite movie is Mirage In Cell No 7 and he ends up crying whenever he watches it because the movie is quite sad. 2. Jackson particularly enjoys a good burger. He also loves having chicken and cheese, although, the musician is not a fan of spicy foods. 3. Jackson speaks six languages fluently. The languages are English, French, Japanese, Korean, Cantonese and Mandarin. 4. Jackson was also a Sabre fencer for Hong Kong’s fencing team. In the 2010 Summer Youth Olympics, he was ranked eleventh overall but in 2011, he won first place at the Asian Junior and Cadet Fencing Championships. 5. After passing his auditions for JYP Entertainment, a South Korean talent agency, he turned down the scholarship he was offered to attend the prestigious Stanford University. 6. Jackson Wang is 5ft 9in tall and weighs 63 kg. Being a professional dancer and a pop star, it should not be surprising that he is in amazing shape. His schedule is physically demanding but the singer also works out and eats well to stay in shape.